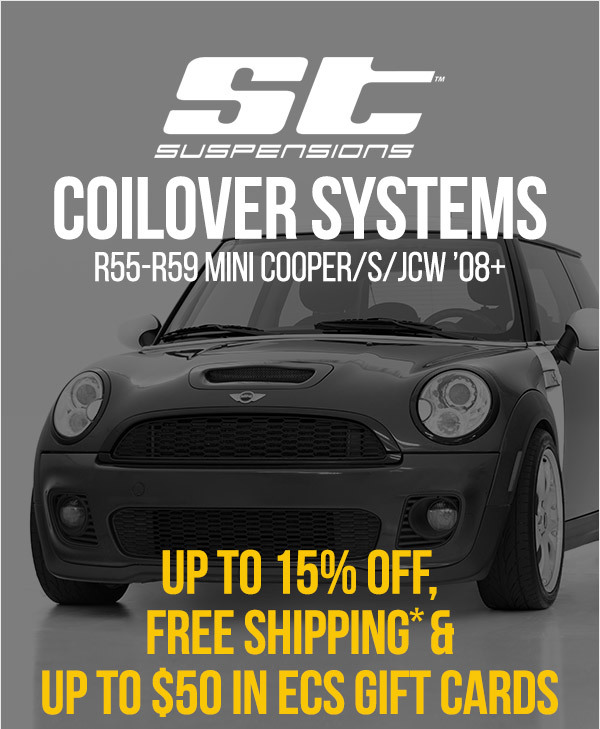 HUGE ST Coilover SALE 15% off / $50GC and Free Shipping ! ST Suspension ON SALE For Your R55-R59 MINI Cooper !!!! Ride height adjustability from 1.2" to 2.2" allows the driver to dial in the ideal stance for rough roads, deep winter snows, track days, and average daily driving. The polished steel housings look excellent against the bright yellow springs, a distinct performance and aesthetic improvement to your MINI. 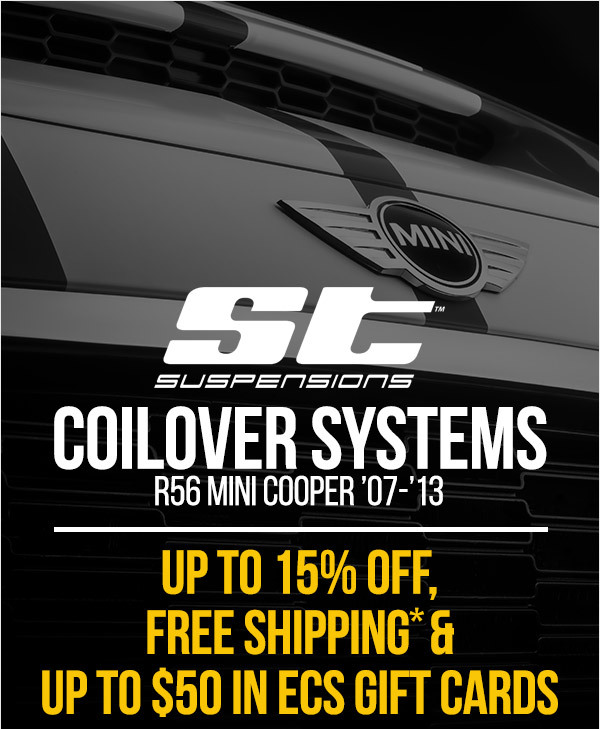 R56 ( NON S ) MINI Cooper ST Suspensions Sale !!!! Quick Reply: HUGE ST Coilover SALE 15% off / $50GC and Free Shipping !